Registration Form & Contact - ORLANDO PREMIER SOCCER ACADEMY (407) 906 0025 - O.P.S.A. Players will be evaluated by our professional coaches. If the player does not know how to play soccer than prelude program will be the option to choose. I have received a copy of the Player Commitment Form . All players and their families are expected to abide by and support the policies and procedures included therein. If you have any questions, please contact the Club Administrator. I understand that I am responsible for all club fees and training fees for the 2018-19 season. I understand that I am responsible to pay training fees even if I decide not to attend a training. All players are expected to meet a high standard of commitment to training. I understand and accept my commitment to the Orlando Premier Soccer Academy and agree to abide by and support the policies and procedures included therein. I hereby release any officers, coaches, sponsors, or owners/lien holders of properties used by the Orlando Premier Soccer Academy from any and all claims and causes of action of any kind whatsoever which the undersigned has or might have, known or unknown, now existing or might arise in the future, directly or indirectly attributable to any injury or damage that might result from my child’s participation in soccer activities. 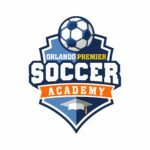 I agree that Orlando Premier Soccer Academy may use pictures of my child for any lawful purpose for such purposes as player identification card, publicity, illustration, advertising, and Web content. I authorize Orlando Premier Soccer Academy , its assigns and transferees to copyright, use and publish my child’s sports photos in print and/or electronically. I have read and understand the above I understand that I am responsible for Orlando Premier Soccer Academy. I understand if these fees are not paid, then the player will be ineligible to participate in trainings, until payment is received.